University of Southampton alumnus Pavlos Kontides capped a remarkable year’s sailing by taking the Laser World Championship in Split, Croatia. The 27-year-old from Cyprus defeated 2016 Rio Olympics gold medallist Tom Burton of Australia to add the world title to the Sailing World Cup gold he won in France earlier this year. 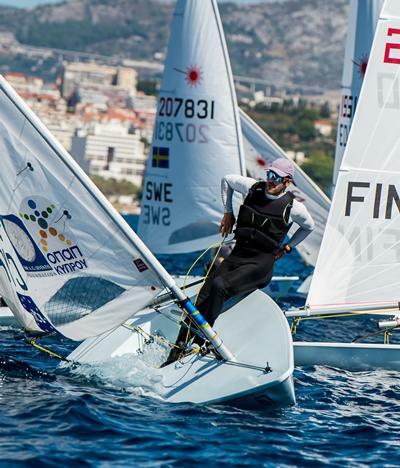 Kontides also defeated world number one Philipp Buhl, who finished fourth, and is likely to overtake the German when the next world rankings are released by the International Sailing Federation. Kontides, who completed his Ship Science degree in 2013, won Olympic silver at London 2012 becoming the first-ever athlete from Cyprus to bring home a medal of any colour from the Games. The competition in Croatia was beset by difficult weather conditions with racing on the final day cancelled due to an electrical storm. By that stage, Kontides was already well ahead of the competition at the top of the table and claimed victory without having to sail the final race. “I am very happy - I am a World Champion for the first time in my career, this is a dream come true,” Kontides said after winning the title. “I was well prepared for the race and this was obvious in the results,” he added.